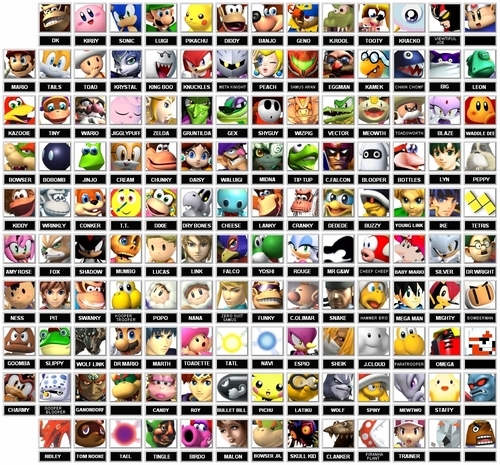 HUGE CHARACTER ROSTER. 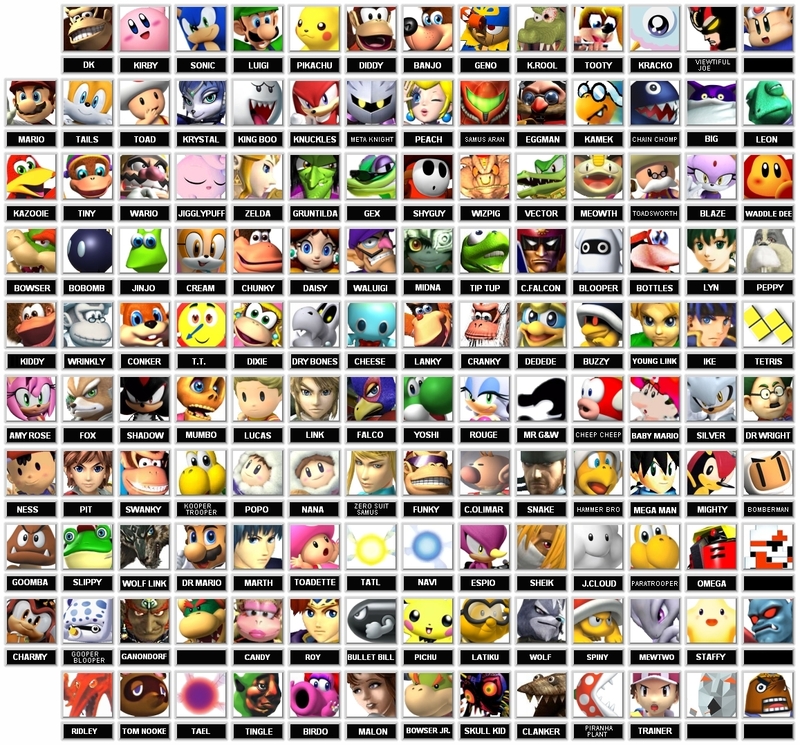 My IDEAL Character Roster for the SSB series!!!. HD Wallpaper and background images in the Super Smash Bros. Brawl club tagged: ssbb super smash bros brawl roster zelda mario pokemon characters. This Super Smash Bros. Brawl photo might contain तहखाने, शराब तहखाने, रंगीन काँच, and सना हुआ ग्लास विंडो. yes...its very sad.But i love it! Blaze!!! SILVER!!! omg!!! i love him!! yay sonic characters!! Koopa Troopa not Kooper Trooper...although Kooper is a common Koopa name. Really cool because it has some of my favorite characters in it. Banjo-Kazooie, Mumbo Jumbo, Gruntilda, Conker, Tails, Knuckles, Amy, Shadow, Geno and more. I would play as them! I c young link, but no toon link. what the F*ck is wrong with u?But I do c most sonic there! Where Is Rosalina!?!??!?!??!?!? I would love her. Her Final Smash could be like a Luma saying Mama said"MAMA SAID KNOCK YOU OUT!!!!" lol just thinking about it is funny. theres a total of 14 pplz from sonic on here! like blaze charmy espio Amy shadow and stuff! I LOVE THIS THING!! theres no lucario?!?!!?!? YOU WILL PUT HIM ON THERE IF YOU WANT TO LIVE!!!!!!!!!!!!!!! wheres link and toon link? WHY DID U FORGET THEM?! This Roster will never happen . Most of these characters have no special powers . SO HUGE! But still missing some! sonic,shadow,silver,blaze,amy,rouge,etc...­. AWSOME!!!! I LUV SONIC CHARACTERS!!! !